Tzatziki is one of my favorites, it's just so refreshing, perfect to combine with most Middle Eastern meals, I don't know what's falafel without it. So I had to find a way to make it vegan. I ended up creating two recipes, and they're both so delicious! It was so fun making this, it brought back memories of when my mom would help me in the kitchen to make garlicky dips when I have my friends over. We would always, always add sumac. Mmmmm. I have to say if you're not allergic to soy, then make the soy version, it's easier to make and to flavor. It also has more of a yogurt-like texture. It was so delicious, I could eat it straight up with a spoon. The cashew-based version is also good, but it's better to use it as a paste, spread it on toast or with a falafel burger. It's very delicious, don't get me wrong, but if you're looking to make an authentic tzatziki, then you gotta make it ahead of time. 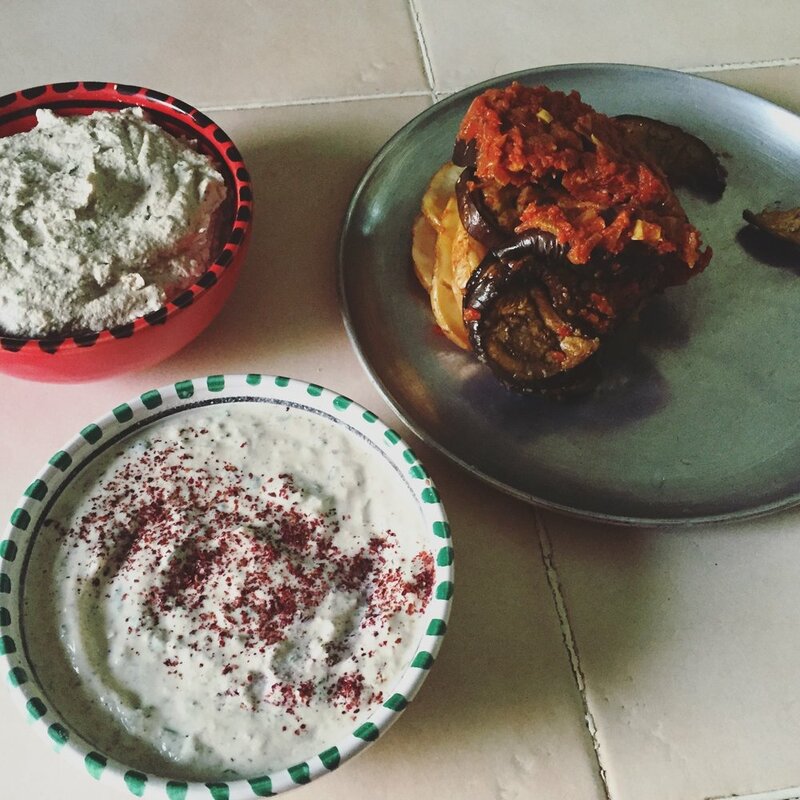 Because it takes a while to process the cashews, it ends up warm, and I don't think anyone wants a warm tzatziki. Some ways to enjoy this dip is with falafel, chips, veggies, or moussaka! When it reaches a creamy consistency, add the herbs and cucumber and processes. Taste it and adjust the flavor if necessary. Soy-free: It will take a while to process, keep scraping the sides with a spoon, then after at least 5 minutes, start to slowly add some water until it reaches the desired consistency. Then add the herbs and cucumbers and process.